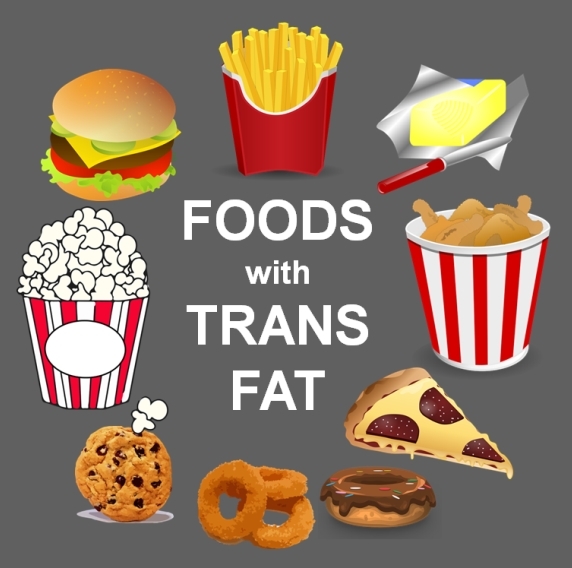 Consuming high amounts of trans fat more than doubled the risk for non-Hodgkin’s lymphoma. This was a good study: large (88,410 women in Nurses’ Health Study), prospective, long 14-year follow-up. Intake of beef, pork, or lamb as a main dish was associated with a statistically significantly increased risk of non-Hodgkin’s lymphoma; the multivariate relative risk for consumption of these meats at least once per day as compared with less than once per week was 2.2 (95% CI = 1.1-4.4; P for trend = .002). Higher intake of trans unsaturated fat was also statistically significantly associated with an increased risk of the disease; the multivariate relative risk for the highest versus the lowest quintiles was 2.4 (95% CI = 1.3-4.6; P for trend = .01). In the Nurses’ Health Study, higher intakes of beef, pork, or lamb as a main dish, trans unsaturated fat, and saturated fat are associated with greater risk of non-Hodgkin’s lymphoma. If you combine these results with those of the study in my prior post which fingered chicken (specifically, all poultry), a low-fat vegan diet would seem to be the way to go. This entry was posted in Uncategorized on August 20, 2016 by Bix. Actually, given all the other associations of animal foods to cancer (e.g. dairy food and prostate cancer, processed meats and colon cancer), a low-fat vegan diet seems to be the way to go all around.